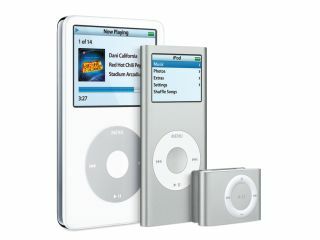 Apple iPods and other prizes could be offered to recovering drug users as an incentive to stay clean. Drug addicts could get free Apple iPods in a new NHS bid to help them stay clean. The NHS initiative has been inspired by similar schemes in the US and gives drug rehabilitation clinics the ability to offer Apple iPods , TVs and other prizes to recovering drug addicts as a reward for staying clean. Before qualifying for the rewards, drug addicts would have to pass three tests each week. For each successful test, they would gain a different level of prize. The scheme is still at the planning stage and has yet to get the full go-ahead but has already been slammed by critics who point out that some medicines for serious diseases (including blindness and lung cancer) aren't available from the NHS . Supporters, including the National Institute for Health and Clinical Excellence (Nice), said that any money spent on prizes will be a good investment, because addicts who stay clean make fewer demands on the NHS.